**Contact us at 866-525-8881 with your specific Floor Mat needs and we would be glad to assist you with color, logo options & price. Lloyd Mats is the industry’s largest aftermarket floor mat manufacturer for all makes and models. 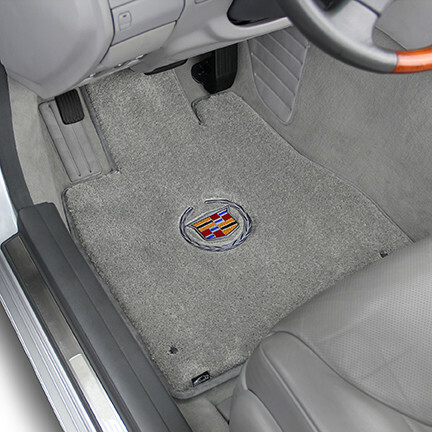 Custom fit carpet floor mats for passenger cars, trucks, vans and SUVs. Lloyd’s Luxe, Ultimat, TruBerber, Velourtex and Classic Loop custom floor mats are produced in a state of the art facility in California from materials made in the USA. The exact fit precision cut mats are available for vehicle applications from the 1950s to the present for complete passenger area coverage, trunk and cargo areas. In addition, all weather mats Rubbertite and clear vinyl Protector mats are made to the same exact, custom fit mat patterns as our carpet mats giving Lloyd Mats the most complete offering of floor mat materials, applications and custom designs in the automotive industry. All mats are specifically designed for automotive use. Carpet mats are available in over 100 colors to match or compliment any OEM carpet color. They offer over 1000 licensed automotive trademark embroidered emblem designs. Licensed vehicle trademark emblems are available for the following nameplates: Buick, Cadillac, Camaro Chevrolet, Corvette, Chrysler, Dodge, Ford, GMC, Hummer, Lincoln, Mustang, Oldsmobile, Plymouth, Pontiac, Porsche, Saab, Shelby among others. From $42.00 - $394.90. 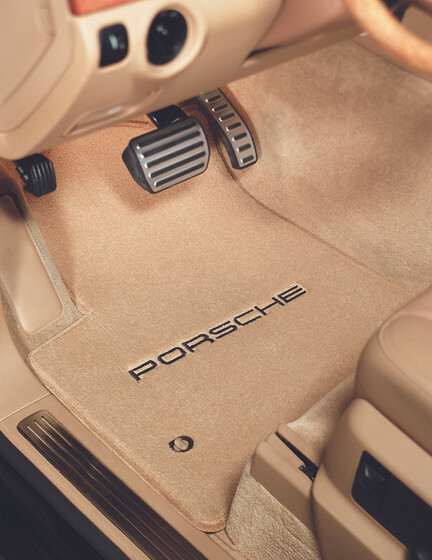 Top-of-the-line Luxe mats were created for automotive enthusiasts who appreciate luxury. LUXE carpet is the the thickest, heaviest, deepest pile we can manufacture, with specially Scotchgard treated yarn for soil and stain resistance. The 48 oz per yard, ultra-plush material is over three times heavier than standard automotive carpeting and so soft you’ll want to drive barefoot! A multi-layer backing with our unique urethane core provides extra cushioning, helps prevent creasing and slipping and insulates against heat and road noise. LUXE Mats come standard with factory compatible anchoring devices, or Lloyd’s easy to install mat hooks. They are warranted for as long as the original owner has the vehicle. Discontinued Once Material is Gone! **SOLD OUT** From $45.00 - $369.90. 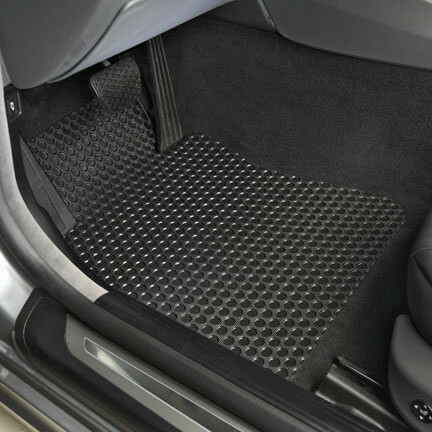 TruBerber Mats are constructed with heavy-duty polypropylene fibers compounded with crush-resistant nylon to produce durable berber car floor mats that are custom cut to fit your vehicle. The multi-tone color pattern masks dirt and mud while the 3/8" thick, 48 oz construction provides for a longer life compared to traditional carpeted car mats. Includes a 5-year manufacturers warranty. From $38.00 - $249.90. 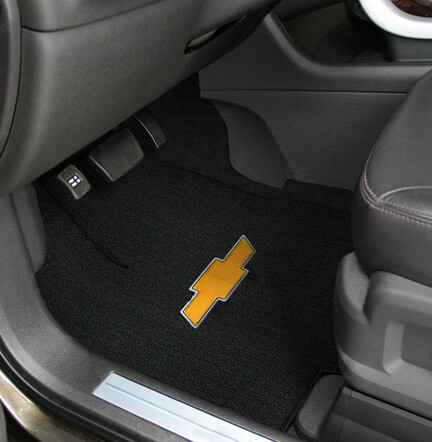 Ultimat Mats are the most popular carpeted car floor mats thanks to an extensive color selection, premium, 2-ply, crush-resistant nylon and a slip-resistant backing. Ultimat Mats are the go-to mats when looking to replace or upgrade their current floor mats. These mats have a 32 oz face weight, are 5/16" thick. Includes a 5-year manufacturers warranty. From $30.00 - $274.90. 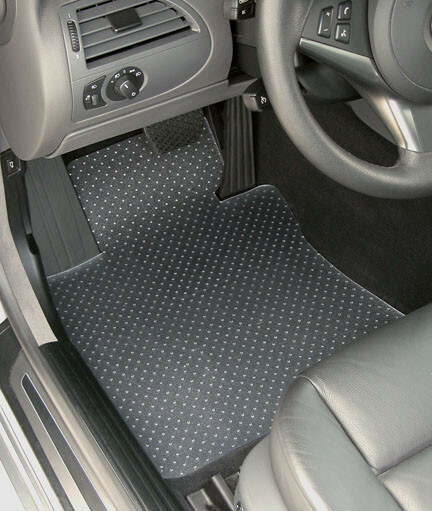 Velourtex Mats are a great value among custom car mats, being constructed of premium nylon for greater wear, while often being slightly denser than standard carpeted car mats. 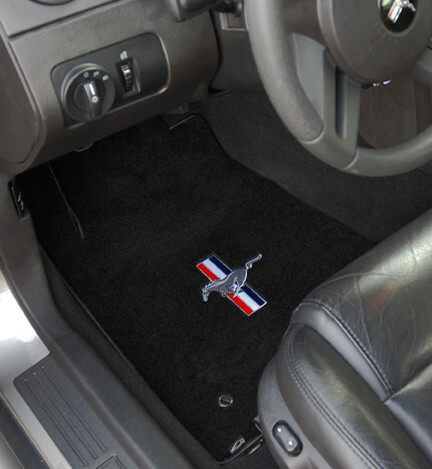 These deluxe car mats are constructed from a 1/4" thick, premium nylon yarn in an 18 oz face weight. Includes a 5-year manufacturers warranty. From $20.00 - $179.90. Classic Loop Mats are most similar to OEM car mat material and are the most economical custom car mat option among our carpet car mat offering. 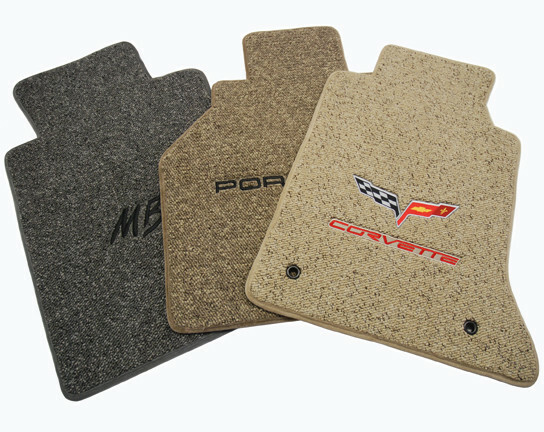 These carpeted car mats are constructed with a 1/4" thick, loop-style polypropylene in a 20 oz face weight. Includes a 5-year manufacturers warranty. From $19.90 - $129.90. Rubbertite Mats are made from a heavy-duty rubber compound and remain flexible throughout the life of the carmat. Hundreds of wells retain dirt, water, debris & snow to keep your car carpet clean. Rubber grippers hold these car mats firmly in place. Includes a 5-year manufacturers warranty. From $14.90 - $74.90. Protector Mats offer commercial-grade, clear vinyl protection for your car floor. All vinyl car mats are custom fit for your car's interior. Grippers on the backside keep these vinyl car mats in place. To clean vinyl car floor mats, simply shake out or hose off. Includes a 5-year manufacturers warranty.